It looks like you are outside the UK. Select a flag below or click “ignore” if you are happy with the UK version. Welcome to the Brewniverse. Explore new worlds of cocktail recipes, upcycling photos and all things brew related. Love our brews? Well now you can use them for cooking too. Our recipes are all made with Bundaberg brews to give them that authentic, craft brewed flavour that Bundaberg drinks are renowned for. Our iconic glass bottle and rip cap can be turned into all sorts of useful things. Join us and discover the infinite Brewniverse. Try our range of cocktails and mocktails at the Bundaberg bar. See our professionals mix it up. Let’s celebrate all the ginger rockers, rollers, singers and songwriters with the ultimate Spotify playlist. Can this pic get any more Aussie! Our Ginger Beer is bloomin’ delicious! Happy Bank Holiday Weekend! Look out for our ‪#‎BrewRiders‬Londonfields today. We’ll be giving away free Bundaberg Ginger Beer. See you there! 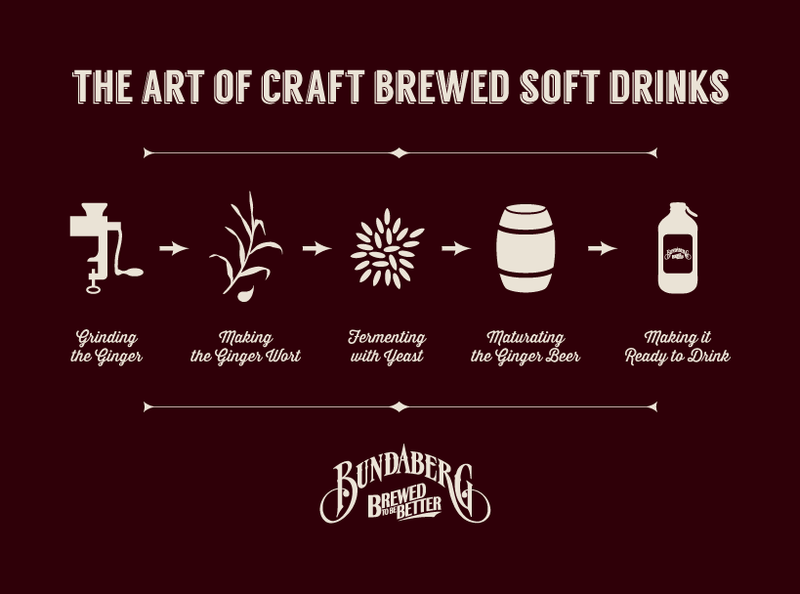 The Bundaberg Brewed Drinks brewing process.